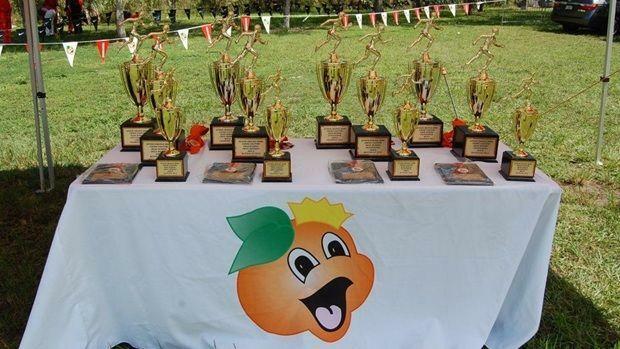 Sixty plus teams will make their way to Larry & Penny Thompson Park in Miami Thursday for the Junior Orange Bowl Invitational. The meet will start 10 a.m. with the middle school junior varsity and varsity races and resume at 2:30 p.m. with the high school junior varsity and varsity races. Stay tuned to flrunners for coverage and results of all the action. In the meantime, see how we see the girls and boys invitational races playing out! Only two girls in the invitational field have broke 19 minutes on the year. Gulliver Prep 8th grader Natalie Varela has made a huge impact on the South Florida running season and cemented herself as one to watch for years to come after winning the invitational race at FLR16 in a personal best time of 18:44.20 which would have been top ten in the Race of Champions. Key West freshman Nicole Matysik broke 19 minutes for the second time this season after finishing 25th in 18:54 at the FSU Invitational/Pre-State. Her time was the second fastest of any freshman at the meet behind only Mt. Dora Bible's Rebecca Clark. Varela and fellow 8th grader Rahyah Andressohn of Mater Academy Charter have been rivals since they r middle school days and will continue that o. Others to watch include Katie Pinnell of North Broward Prep, Sabrina Perna of Doral Academy Charter who won her race at Pre-State as well as Daesha Rogers now at North Miami who is coming off a win at the 305 Classic. Lourdes and host Ferguson will contend for the team title with North Broward Prep and Coral Reef fighting for third. The boy's side looks like it will be the Belen Jesuit show. How will the Wolverines respond after a disappointing 7th place finish at Pre-State which might rank as one of the team's worse loses in a very long time. Sophomore Joshua Collins was 14th at that meet and should find his closest competition from his Belen teammates Nicolas Roca, Bruno Mayas and Jaime Lopez. Humberto Freire of Columbus who owns a season best of 16:07.70 has the second fastest time in the field and plans on breaking up a Belen perfect score of 15 points. Other names to watch include Leonardo Rodriguez of host Ferguson, Gabriel Correa of Ransom Everglades, and Guilherme Pereira of Divine Savior Academy who is coming off of a win at the 305 Classic. With Belen the clear cut favorite, the battle for second will be between Columbus and Ferguson.